Happy End of July! That means it's time for another My Inky Friends Design Challenge! This one is a color challenge chosen by Rhonda. 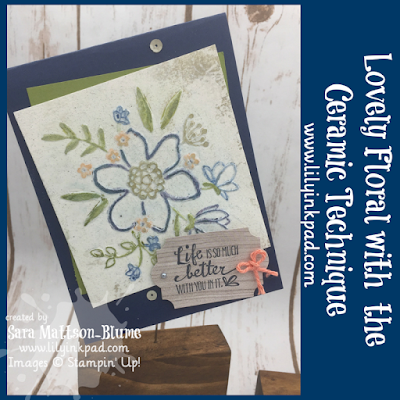 I saw this technique done by Lou in Australia in a blog hop and I knew I wanted to try it. I have tried some other cards, which you will see next week, and maybe, I'll show it on my next facebook live. I haven't decided yet. It's a multi-step process and I learned that watercolor paper works great, but so does Thick Whisper White. I also bought gesso from the local craft store, which is applied after you color the top of the embossed image. The, you scrap it off, emboss the whole panel in clear, and then wash with a watercolor wash. The result--stunning. To complete my card, I layered with an Old Olive mat. 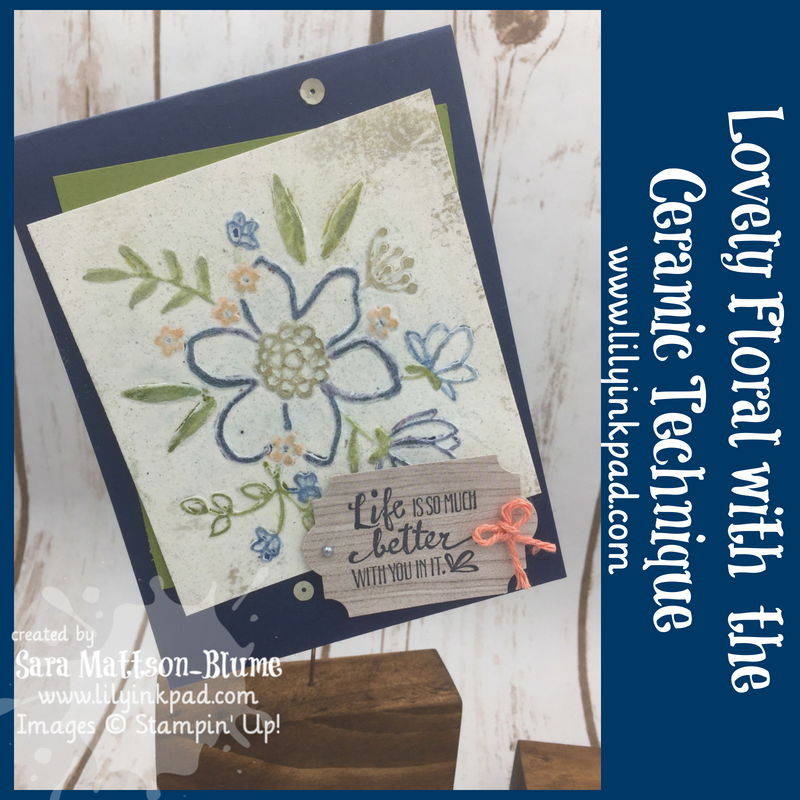 My sentiment was stamped on the Wood Textures Designer Series paper and punched out with the Everyday Label Punch. 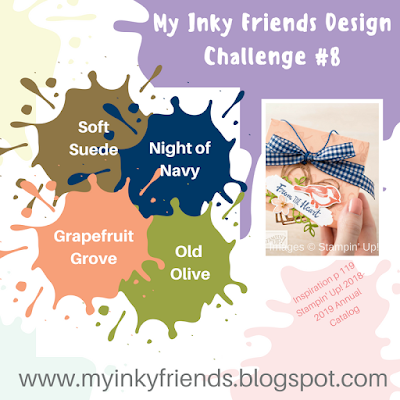 I hope you are inspired to join My Inky Friends with this Challenge! We'd love to see what you design.